What should I tell my healthcare provider before taking PHOTOFRIN? What is the most important information I should know about PHOTOFRIN? Sensitivity or allergic reaction to light should be expected; eye sensitivity is possible. This reaction is called phototoxicity, which has a sunburn-like effect and may be severe. All patients receiving PHOTOFRIN will be sensitive to light and must take precautions to avoid exposure of eyes and skin to direct sunlight or bright indoor light for at least 30 days, but it may be required for more than 90 days. The phototoxicity with PHOTOFRIN is unique since it is activated, not only by UV light, but also by light visible to your eyes that is usually safe for humans. Phototoxicity reactions with PHOTOFRIN can occur following the first exposure to direct sunlight or intense indoor light from within a few minutes to up to several hours after exposure; resulting skin damage can persist. After PHOTOFRIN administration, when outside wear protective clothing and dark sunglasses which let less than 4% white light through. You may experience chest pain or breathing difficulty. Notify your doctor if you experience chest pain or any other side effects after treatment with PHOTOFRIN. Your doctor may prescribe medication to help reduce the pain. What are the possible side effects of PHOTOFRIN? Relieving symptoms of esophageal cancer when the cancer blocks the esophagus or when the cancer cannot be treated by laser alone. PHOTOFRIN®, Pinnacle Biologics™ and the logo of Pinnacle Biologics™ are trademarks of Pinnacle Biologics, Inc. See more. 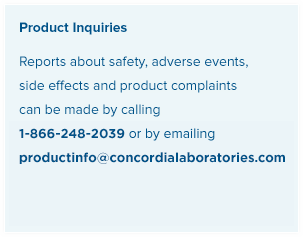 PHOTOFRIN® is manufactured for Concordia Laboratories Inc. and distributed in the United States by Pinnacle Biologics Inc. See more.